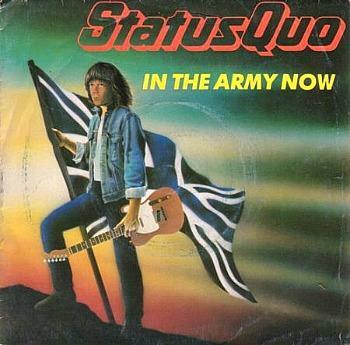 After a monumental bust-up with bassist Alan Lancaster, this was the first Quo album recorded with the new line-up, and many fans had decided that this was the end of Quo before even listening to the album. The title track is either loved or hated - I loved it at the time, although it does start to grate after a few listens. I'm very tempted to use the old "not as good as their earlier stuff" cliche, as it certainly rings true. In The Army Now doesn't have the edgy and energetic hard rock sound of an album like Piledriver, although Red Sky comes close (see the Top Of The Pops performance above) and is my favourite track here. Although the 80s, synth-laden production was perfect for many pop acts of the time, it simply doesn't suit the Quo whatsoever. If you like the lighter, more melodic sound then there is much to be enjoyed here, but for those who prefer the harder sound then you should probably avoid this album like the plague. There are still plenty of fans who enjoyed this album, though, and it was commercially successful reaching No.7 in the UK album charts, with the four singles all making the Top 20. 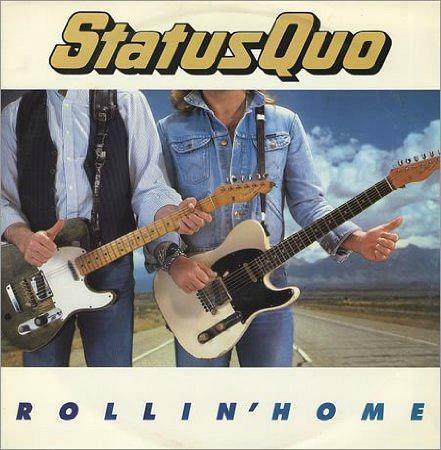 Released on 9th May 1986, Rollin' Home was Status Quo's first single release since October 1984 when they reached #7 in the UK singles chart with their cover of The Wanderer. Rollin' Home was the first track to be lifted from the In The Army Now album and peaked at #9 in the UK, but reached #1 in Ireland. Since their first single release in January 1968 with Pictures of Matchstickmen (#7), the Rock Band have released a staggering 77 singles and 28 studio albums. 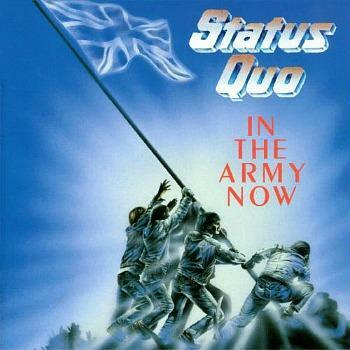 They had eighteen Top 40 singles in the 70s, twenty in the 80s, thirteen in the 90s and one in the 2010's which was the aforementioned re-release of In The Army Now. 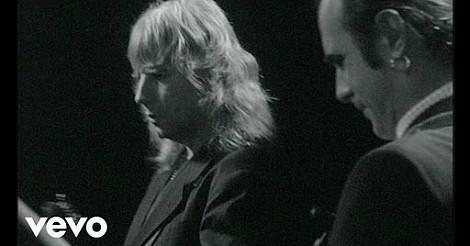 So the 1980's turned out to be the Quo's best decade! 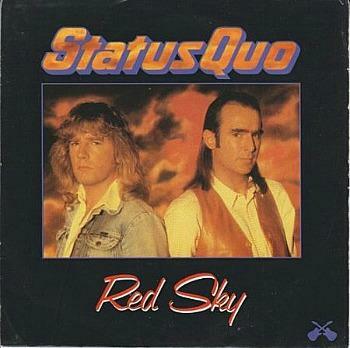 Released on 18th July 1986, Red Sky was the second single from In The Army Now and peaked at #19 in the UK singles chart. This track comes close to sounding like the early Quo and certainly packs a punch. Had more of the other tracks sounded like this then we would be probably have looking at a very different reception by both critics and fans. 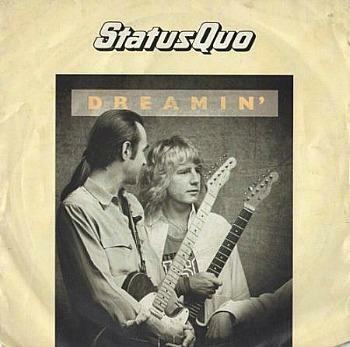 Originally reaching No.2 in the UK singles chart in September 1986, the title-track from the album was one of the Quo's most successful singles. It was also a welcome break from the usual three chord rock melodies, that's for sure. The song was originally recorded by the Dutch artists Rob and Ferdi Bolland (who were born in Africa) in 1981. A re-release of the song in 2010 peaked at #31 in the UK, with all profits going to the British Forces Foundation and Help For Heroes. Released in November 1986, Dreamin' was the fourth and final single release from the album and peaked at #15 in the UK. The 7 inch vinyl single included a wrap around calendar and poster. The B-side was a track called Long-Legged Girls and was written by the band's producer Pip Williams and lead singer Francis Rossi.